UFC 119 Review and Results | MMA Fighting Events Videos Techniques UFC Fight Picks and News. There are times when you look at a UFC card and think, "Eh, that's not looking too good", but then the fights go down and you're amazed at the action. UFC 119 was not one of those. As I wrote last week, the card didn't look good on paper, and it wasn't all that good live and in action either. Let's start with the main event. Frank Mir and Mirko Cro Cop did a great job of putting on a snooze fest for the majority of three rounds. Then, luckily for Mir, it looked like Cro Cop almost accidentally ran into Mir's knee and knocked himself out. Uhm, yeah I guess that was an exciting knockout. The Matt Serra vs. Chris Lytle fight was probably the most exciting fight, as it was a chingasos-trading affair. It kind of looked like a rock em' sock em' robot type deal. Unfortunately, it began to get a little boring as neither fighter really pushed for the finish and it went to the judges. The judges gave the win to Chris Lytle. In another disappointing fight, Antonio Rogerio Nogueira and Ryan Bader went the distance, and Bader took a unanimous decision. 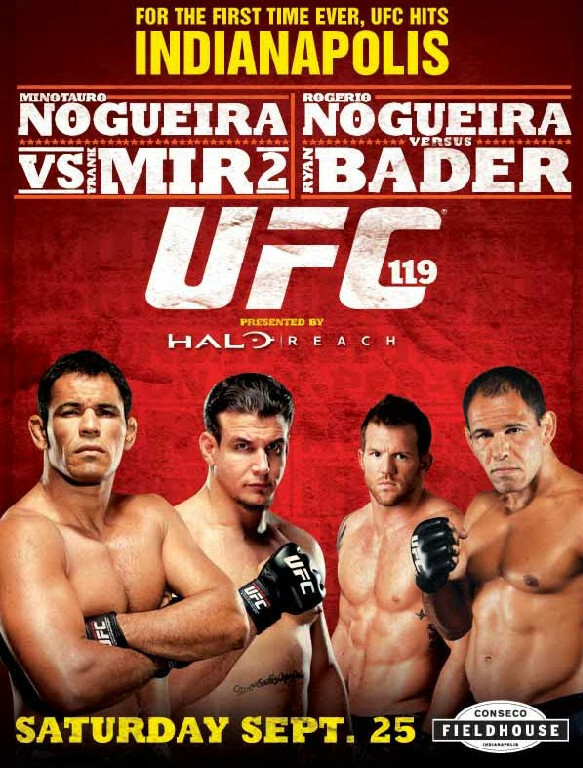 Bader won mostly because he was able to out hug Nogueira. The other two fights on the PPV also went the distance. Melvin Guillard defeated Jeremy Stephens via split decision and Sean Sherk defeated Evan Dunham via split decision as well. I'm sure the UFC is not happy with the majority of the fights not finishing before they went to the judges. 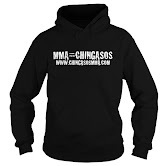 I hope Dana White does something to entice the fighters to go for the finish for UFC 120 so the critics can be silenced, and the MMA fan community can be a little happier with watching exciting fight ending submissions and or chingasos.